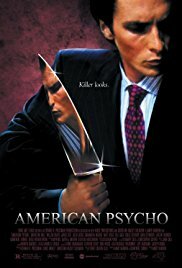 American Psycho follows the story of a wealthy businessman that goes on killing his conquests in the most curious and unjustified way. Although this movie is a comedy wrapped around a serial killer package, I chose to include it in this website because it is considered by most as a horror movie. The movie is hilarious, in a very dark and creepy way. Christian Bale is really the strength of that movie, playing extremely well his role of wealthy pompous egocentric psychopath. Behind this movie is hidden an interesting critics of modern society and the fantasies that it creates for us. There are a lot of caricatures in the film, for example on how insignificant elements can take a very important part in our life (the business card discussion is hilarious!). Reading the critics, I found that everyone seems to understand something different from that film. I personally imagined a caricature of how power and money can transform the mind of someone, but many critics talk about something else. The simple fact that American Psycho creates a debate makes it a good movie. 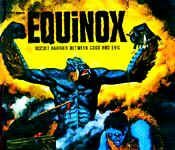 Good food for your brain, I am sure that it is a great movie for most. I personally did not like it so much simply because there is no horror in it.